I love your blog, it really is a source of daily inspiration. My kind of work isn´t particulary retro, but there is so much to learn from those amazing illustrators of the fifties that I end up incorporating a lot from what you post. I´ve been looking for information on a British illustrator called Francis Marshall. 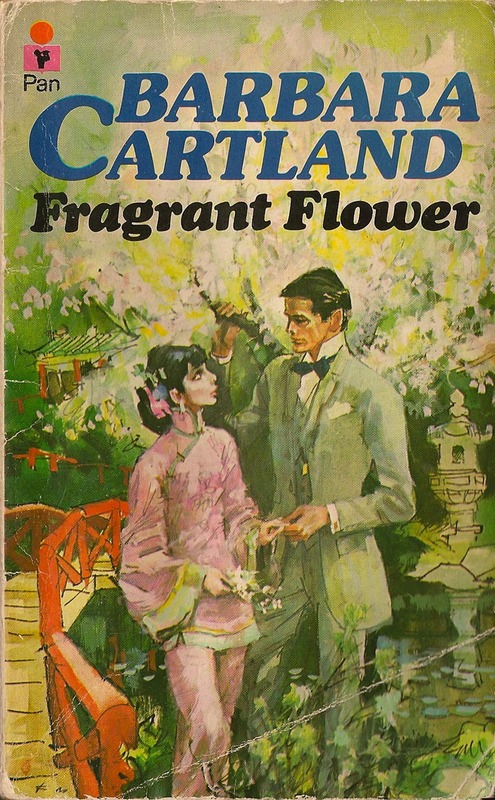 He did fashion stuff, and covers for Barbara Cartland romance novels. I can´t find much, and was wondering if maybe you have some magic wellspring of information, or a know where originals of his work can be found? 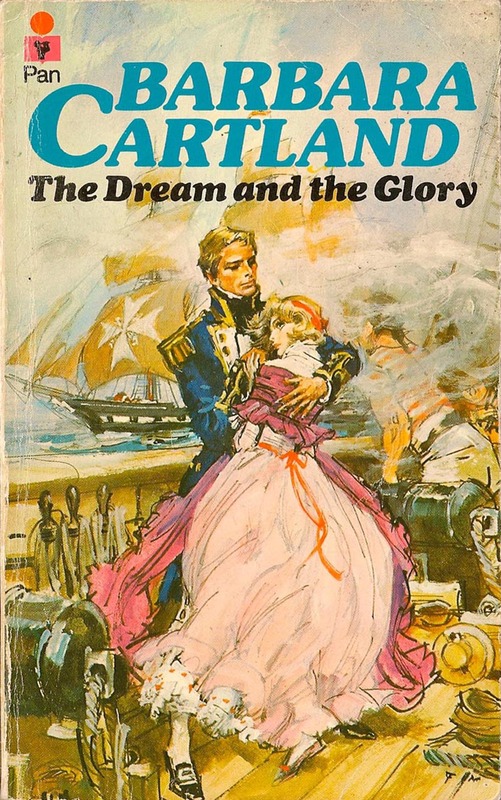 Ximena and I began corresponding and she generously agreed to send me some scans of Francis Marshall's cover illustrations from the many Barbara Cartland romance novels she had. 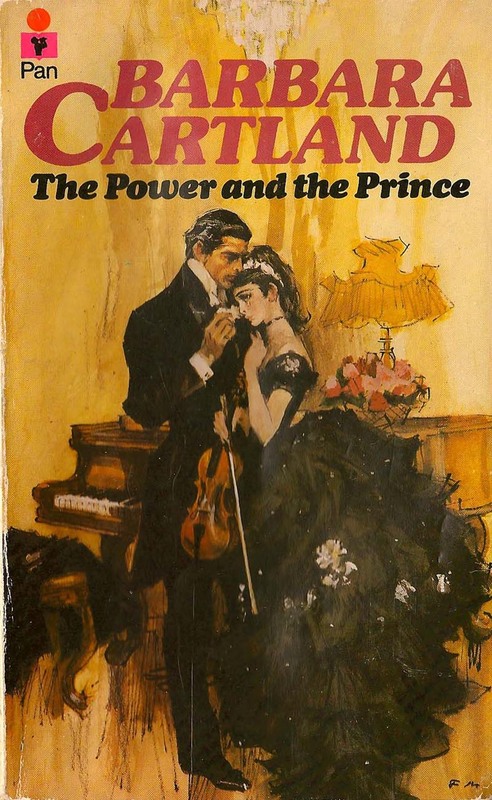 "My mother has several hundred Barbara Cartland novels," wrote Ximena, "which she read as a teen, and my sister and I have read them enthusiastically too. They´re so simple that you can read them even if you don´t speak much English, so they were a perfect learning tool, and a lot of fun. I still read one every now and then, if I have the flu." 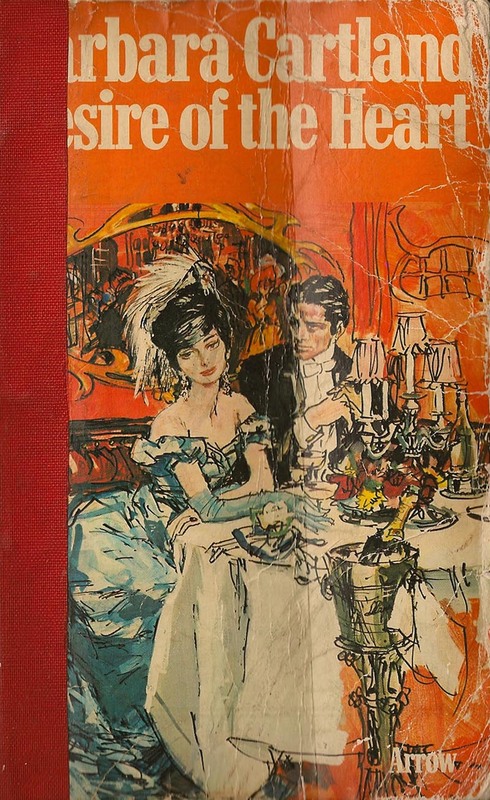 "Of all the ones we have, the best are the ones with covers by Francis Marshall," she continued. "After him, the standards slips, and they´re totally unreadable. 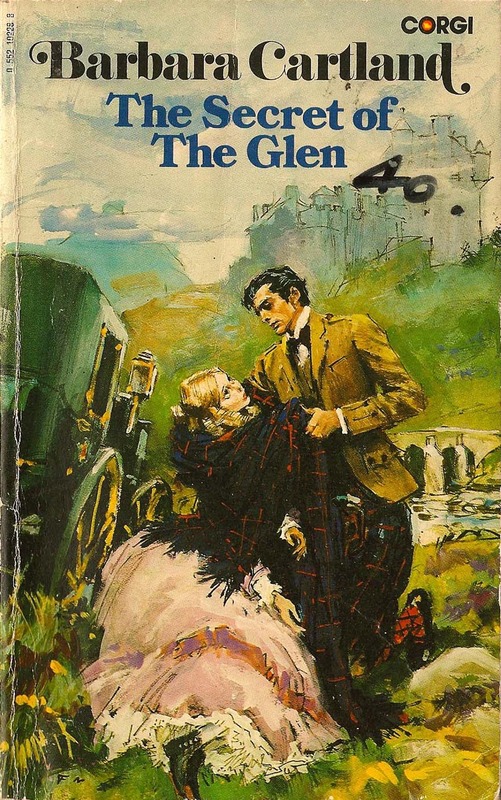 Or else I´m influenced by the cover art, which is really good, head and shoulders above the usual Mills&Boon type stuff." Ximena is right - Marshall's covers really are good. 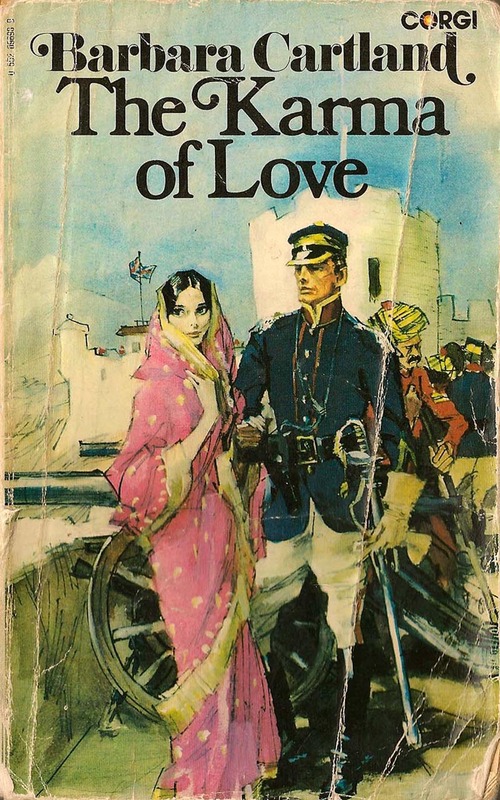 And so stylistically atypical of romance cover art its almost a wonder that he received the assignment to do them in the first place. But many others begin to verge on cartoony (and I don't mean that as a slight - I think these are some of my favourites). Occasionally one or two even remind me a little of Jack Davis' work - when Davis was doing his more realistic looking stuff. There's that same sense of rapidly drawn sketchiness; an infectious, energetic, first draft gestural quality that absolutely breathes with life! Ximena seems to agree with me. She writes, "His fashion stuff in the forties and fifties seems to be pretty much like most others in the premier league . But these romance covers are very different from the usual." "For one thing, all the girls have 'manga eyes', which is a signature mark of Barbara Cartland heroines, and makes them more unreal. For another, they´re all period costumes, and his background in fashion really shines through here. He is brilliant with the clothes, I find." She continues, "I particulary love how loose they are. That green skirt in Lessons in Love, or the bridge in Fragrant Flower, they seem to have been done in seconds. Much more alive than the typical historical romance cover." 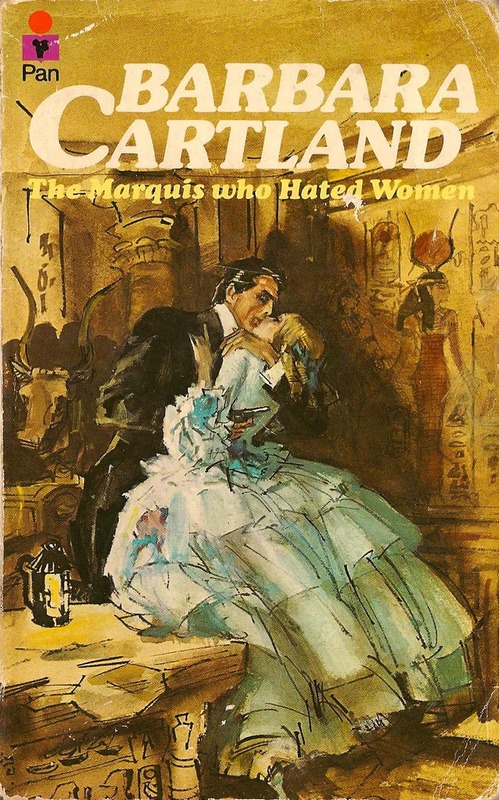 Earlier this week we learned from commentor Chad Sterling that Barbara Cartland refused to return any of the original paintings to Francis Marshall, instead framing them and hanging them on the walls of her mansion, which left Marshall feeling quite bitter. Ximena provides an eye witness confirmation of that sorry situation: "I once had tea with Barbara Cartland (possible title for an autobiography) and she had a whole wall with originals. They were a bit bigger than an A4, and so cool, all together like that, it made me really jealous." As Tom Watson pointed out in a follow-up comment, the practice of keeping illustrators' originals under the assumption that the physical art was part of the purchase price of the reproduction rights was all too common for many decades - and rarely challenged by artists who feared rocking the boat and risking the loss of future assignments. From personal experience, (having had the experience many times in the early years of my career of not getting my original art back) I learned to always clarify the purchase terms of an assignment in writing up front. * Many thanks to Ximena Maier for introducing me to the fantastic art of Francis Marshall - and for sharing her scans and stories with us! * My Francis Marshall Flickr set. Excellent post. I love how quick and angular his figures are, and especially like the female heads - usually short hair, pitched from the top of the skull like a perfect roof top. Very nice! 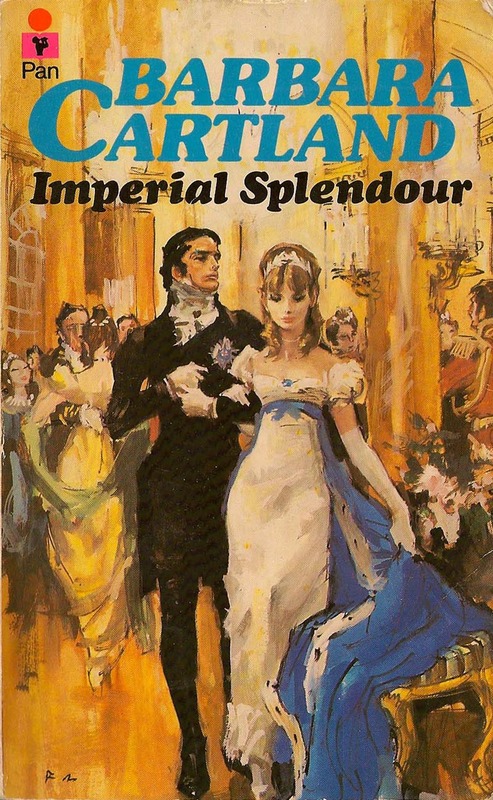 I thought I knew Francis Marshall's work well, but I have never seen these Barbara Cartland covers. Many thanks for posting them. Thanks for posting the link to my blog. 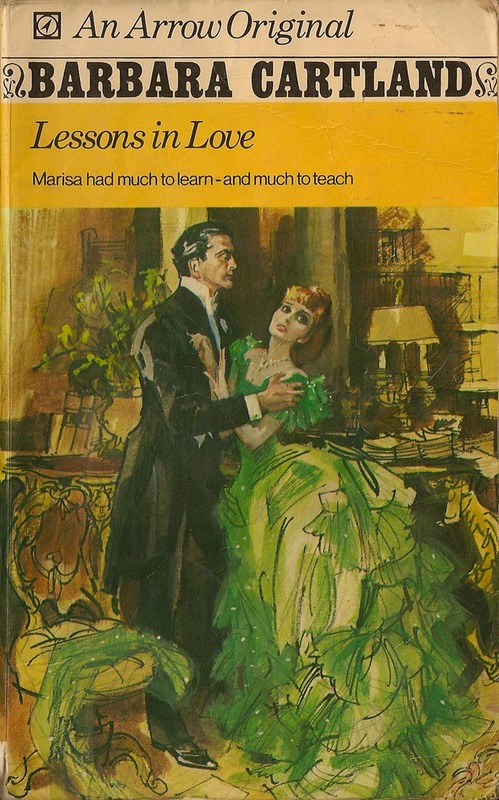 I hope everyone enjoys looking at the Francis Marshall covers. Please realized that I'm a reader, not an artist, so I admire, but can't describe!! Thanks everyone, for your enthusiastic comments. Don, I'm pleased that you've found something new to enjoy about an artist you thought you were already familiar with. As far as British artists go, I don't really know of many at all. The ones I have become a tiny bit familiar with are Michael Johnson, Walter Wyles, Fancett, Peter Gibson, Earnshaw, Edwin Philips, Frank Haseler, Jac Mars, Hofbauer, Robert Viby, and Camps. Oh, and it is correct that Marshall's cover art was definitely a cut above what was available during the mid 1970's. 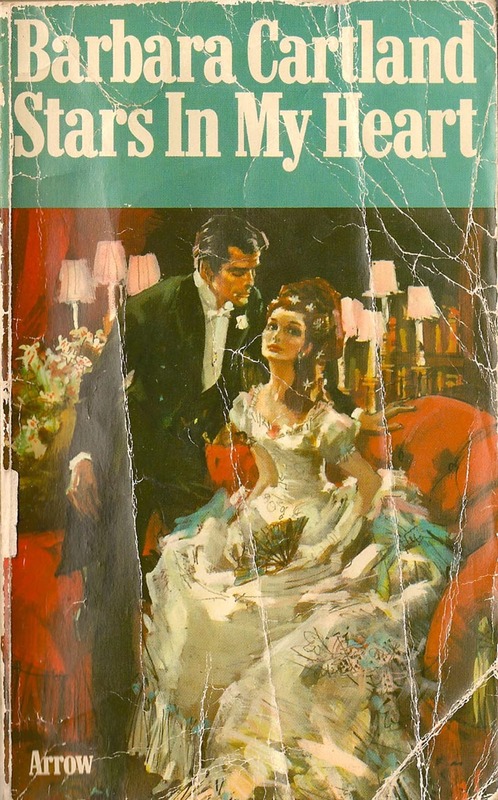 Allan Kass and Walter Popp are two other illustrators that did great cover art for the romance genre. Beautiful. I have most of Marshall's books, but I've never seen these before. Stunning. Hah! Now I know who been bidding against me for the Marshall books! Love those robes. What a vigorous style! Looks to me like finished and unfinished at the same time - fascinating. The male person here seems to be always the same. A real lady-killer. So thrilled to find this post about Francis Marshall! 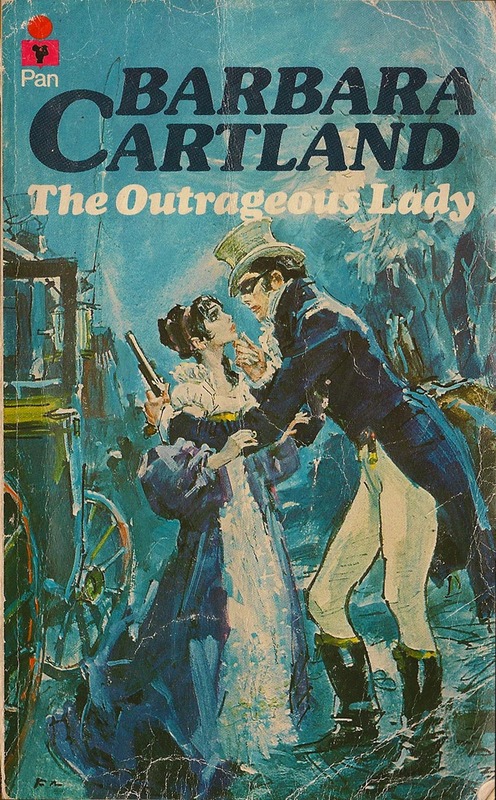 When I was in art school (SVA), I had a long two hour commute each way and there was often a Barbara Cartland novel in my bag. Over a few short years and many trips to used book stores, I found every book that he did a cover for. 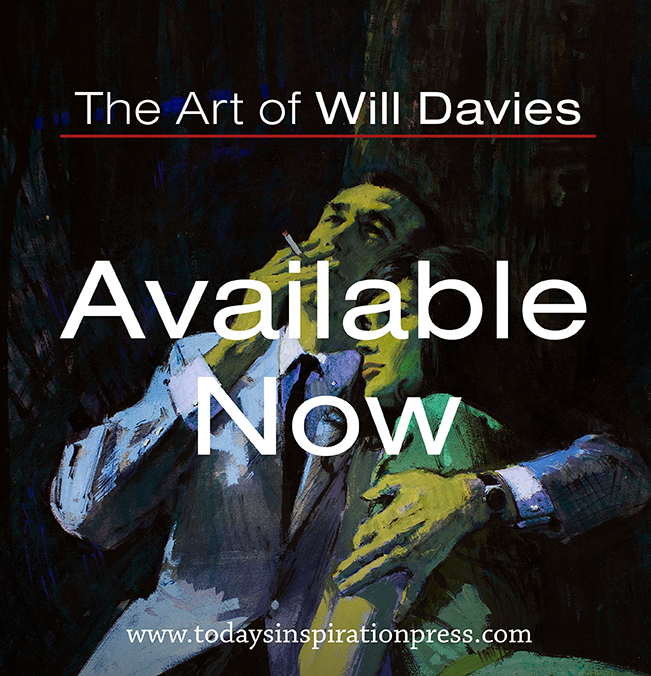 I was crazy for his style and scrutinized the art, wanting to find out more about them. That was before the internet of course! And yes, I still have the books. They're safely tucked away in a box. They were a quick read but I learned a tremendous amount of British history through them. And now I finally know something about the artist too - thank you!! 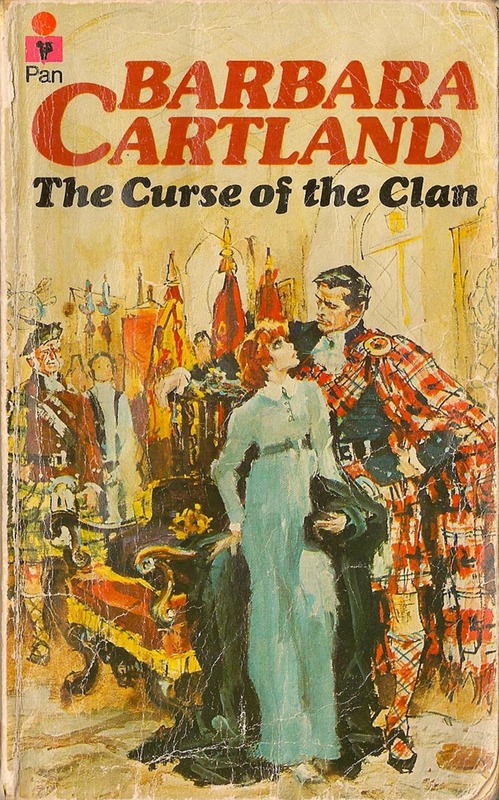 I no longer have any BC books to compare, but these covers remind me greatly of the Bantam (I think) covers in the US. Great post. I totally agree, after F. Marshall the standard is terrible. The cover does subtly influence the reading of the book I think. Or maybe he was more expensive so the books were better. But I have noticed the badly painted covers seem to be rather more poorly written (if thats even possible.) than the ones with better drawn / more expensive covers.